Botrytis cinerea is a parasitic fungus that has two recognizable — and sinister — names common to growers: Bud rot and bud mold. If you’re familiar with bud rot, you know it can destroy an entire crop if left untreated. If you’re not familiar, we have some top tips to help educate you, so you’ll know how to recognize bud rot, treat it, and most importantly, prevent it from occurring altogether. What Causes Bud Rot In High-Value Plants? Humidity levels of 55 percent or higher. An environment below 68 degrees Fahrenheit. Poor air circulation and ventilation. This is why it’s important that you don’t cram your plants too close together in your grow room. 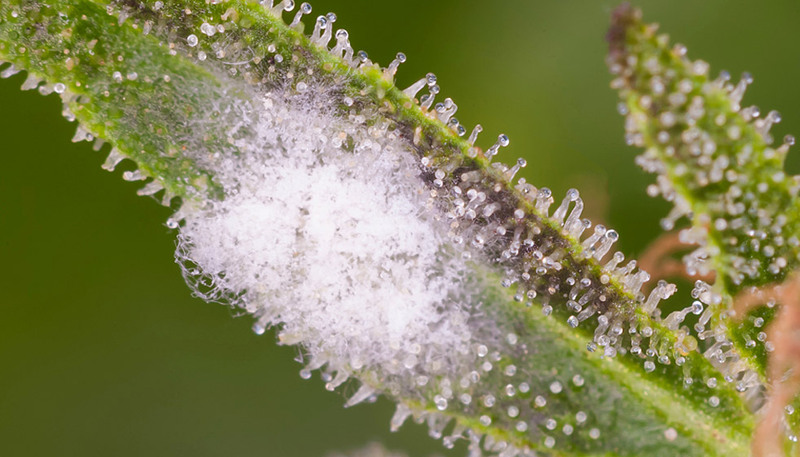 Without enough breathing room and free air movement circulating around your crop, mold spores can more easily spread from plant to plant, leaving your entire grow susceptible to bud rot. Darkening and discoloration on buds, pistils and/or leaves. Dry, gray/brown or dark-purple patches. If you find mold on buds while they’re drying, these buds should be discarded as they are no longer safe for human consumption. Even if there’s no rot present on a recently harvested crop, you’re not necessarily in the clear — bud mold can still develop while your crops are drying. Preventing bud rot isn’t difficult, but it does require attention to detail. Keep your indoor grow at or above a temperature of 70 degrees Fahrenheit so it’ll be too warm for bud mold to flourish. You’ll have to adjust the temperature at various points in the development of your crops, including a slightly cooler environment during the flowering stage, but letting it get too cold can promote the growth of bud mold. Make sure the humidity in the grow room is high enough for your crops to thrive, but not high enough for bud mold to survive. Humidity of 44–55 percent is your ideal range. Another key to preventing bud mold in the grow room is having a properly ventilated space where air can easily circulate. Cut down your risk of pathogens and mold spores by outfitting your grow room with a quality intake filter, and clean it regularly to keep it in good working condition. Air flow is an important factor in bud rot prevention — this is why many grow rooms have fans to keep clean air circulating freely. Stagnant air can facilitate fungal development and help it spread even faster among otherwise healthy plants. In addition to adding an intake filter and a fan (or fans, depending on the size of your grow), you can reduce your risk of pathogens by limiting who and what enters the room where you keep your crops. Remember, Botrytis spores can infiltrate your grow room via clothes, shoes, pets or anything (or anyone) else that comes in from the outside. It’s also important to maintain a sterile environment in your grow room. Mold spores aren’t the only contaminant that can enter the space and put your crops and, ultimately, patients’ health at risk. Pet hair, dirt and debris can carry pathogens capable of destroying the crops you’ve worked so hard to cultivate. To keep your grow room as sterile as possible, ensure that it is properly sealed all the way around, and close off any unnecessary openings and vents. Increasing air flow within crops by removing some of the leaves on very leafy plants. Covering crops with tarps or greenhouse poly film to protect them from the rain. When it does rain, shake crops dry afterward. Choosing a grow location that enjoys a sufficient breeze. Removing any dead material on the plants, such as leaves or foliage with brown necrosis spots, as these are good starting points for infection. Maintain the optimal temperature and humidity level while your crops are drying. Dry crops in a well-ventilated space where air can flow freely. Spread crops out to dry. Even after they’re cut, dense colas and branches can still harbor mold. Inform your crop processor of any mold issues you may have faced during the grow so they know to inspect the crops carefully, discarding any infected buds. When it’s too late for prevention, your only option to save your crops is to treat the bud rot. The most important thing to remember is that an infected bud should never be consumed. Clip all buds you find infected with rot and immediately dispose of them. The good news is that if you catch bud rot in time, you can usually save the rest of the plant by removing the affected buds. With sterile tools, cut two to four inches below the rotted bud, andre-sterilizing your tools between each cut to avoid any inadvertent contamination. You might be tempted to cut directly below the infected bud, but you need these extra two to four inches to ensure you’ve cut off any additional parts of the plant that might have been infected. Botrytis spreads quickly and broadly, so you can pretty much guarantee that any part of the plant that touched the infected bud is also harboring spores. Also be sure to sterilize the walls and floors in your grow room. Mold spores can stick to these surfaces and infect crops later if not eradicated when you first discover the problem. A fungicidal soap, or a solution of one-part bleach to nine-parts water can be used for room cleaning. Bud rot is just one of the parasitic conditions that can wreck your crops and destroy your profits. Learn about other common pests and diseases your hydroponic garden can face here. Wanna read more informative articles like this? 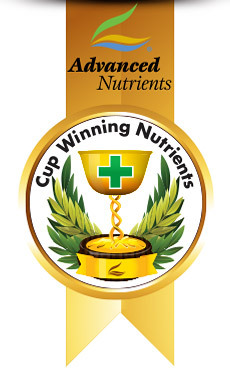 Sign up now for the free Advanced Nutrients email newsletter and have them delivered straight to your inbox. Simply fill out the subscription box on this page to start getting our newsletter now.